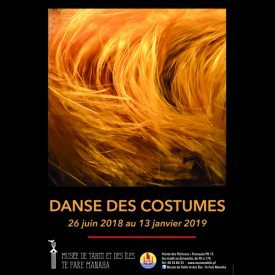 To welcome visitors during its renovation process, the Musée de Tahiti et des Îles – Te Fare Manaha will host a new exhibition, « TUPUNA ➔ TRANSIT », from 30 March 2019 to 20 September 2020. The show will feature a hundred of objects held in the museum’s collections. 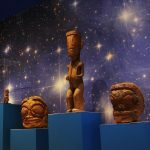 These are representative of the 5 archipelagos of French Polynesia, and most of them used to be displayed in the permanent galleries, closed since 2018 due to their planned refurbishment. 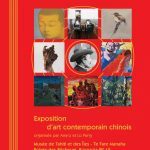 Exhibition Paul Jacoulet from September 7 to December 10, 2017 at the Museum of Tahiti and the Islands. An exhibition designed by the Musée du Quai Branly Jacques Chirac. A traveling artist in Micronesia or the floating universe Paul jacoulet. 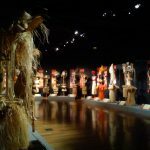 The hosting of the traveling exhibition “A traveling artist in Micronesia – The floating universe of Paul Jacoulet” conceived by the musée du quai Branly – Jacques Chirac is a great opening opportunity on other Oceanian cultures and in particular the Japanese archipelago and Micronesia. 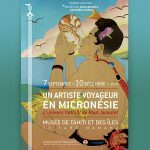 The Museum of Tahiti and her Islands invites the Polynesian public to discover the subtle and refined world of Paul Jacoulet and to travel in his wake from Japan to Micronesia. 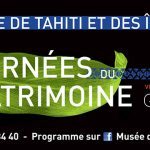 Le Musée de Tahiti proposera le 15 et 16 septembre un programme varié d’activités, ateliers et visites entièrement gratuits pour le grand public. Deux journées scolaires seront également proposées les 13 et 14 septembre. 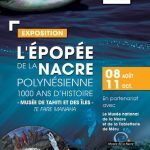 Cette édition aura une résonance particulière puisque la salle d’exposition permanente fermera à l’issue de la manifestation pour la préparation des travaux à venir en 2019. Ce sera donc la dernière occasion pour le public de visiter cette salle avant sa réouverture. 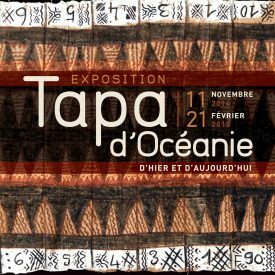 This exhibition invites you to discover the creativity of the artists who create every year the costumes for the Heiva i Tahiti, a dance competition (‘ori tahiti) which is celebrated since 1885 every year during July.The eighty-seven costumes presented in the exhibition are made out of dried plant material, most of them had been used during the Heiva, and some had been awarded with a prize for the most beautiful costume. 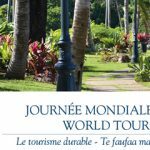 The 4 permanent exhibition rooms of the Museum of Tahiti invite you to discover the riches of Polynesia and its culture. The four rooms offer you a series of steps in the knowledge of the natural environment and the settlement of the islands, the material culture and the daily, social and religious life of the ancient Polynesians, as well as an evocation of the consequences of the contact with the Europeans on Polynesian society. A visit which will allow you to discover the ethnographic collections of the Museum before the closing of the rooms by the end of the year. 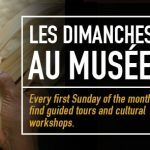 The Museum of Tahiti, in partnership with the Cultural center and Artistique Arioi, will propose every first Sunday of the month some cultural workshops and thematic guided tour . 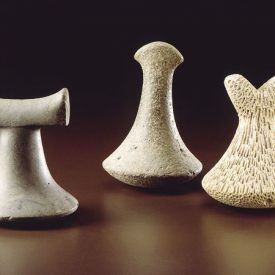 Come and join this unique culturel experience. This activity, open to the Polynesian, to the families, but also to the tourist public, will allow the visitors to discover the collections of the Museum, with a guide prepared by the scientific teams of the Museum, but also to have a more participative approach of the heritage, thanks to cultural workshops, chosen according to the program of the Museum . 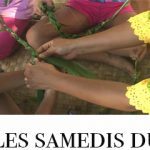 Te mau natira’a manureva no te mau motu, Les Ailes des îles. From January 18 to March 18, the Museum will be hosting an exhibition on the history of Air Tahiti, which celebrates 60 years of air travel. 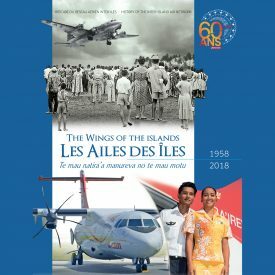 Photographs of tracks in the islands, postcards of the old models of plane until the first seaplane, old posters, objects collectors … This exhibition will return on the history of the inter-islands air links of the years 1950 to the present day. 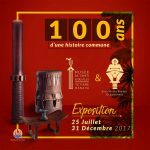 Through this exhibition, Air Tahiti wishes to pay homage to the men of the past and to share with the greatest number an unknown history, contributing to the Polynesian collective memory. 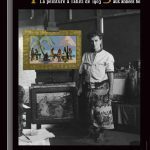 Exhibition Paul Jacoulet from September 7 to December 10, 2017 at the Museum of Tahiti and the Islands. An exhibition designed by the Musée du Quai Branly Jacques Chirac. A traveling artist in Micronesia or the floating universe Paul jacoulet. 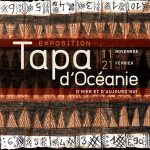 The hosting of the traveling exhibition "A traveling artist in Micronesia - The floating universe of Paul Jacoulet" conceived by the musée du quai Branly - Jacques Chirac is a great opening opportunity on other Oceanian cultures and in particular the Japanese archipelago and Micronesia. 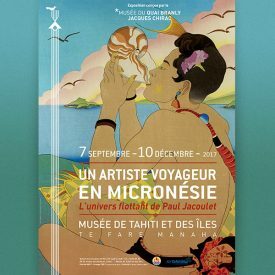 The Museum of Tahiti and her Islands invites the Polynesian public to discover the subtle and refined world of Paul Jacoulet and to travel in his wake from Japan to Micronesia. 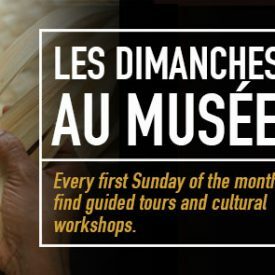 The Museum of Tahiti, in partnership with the Cultural center and Artistique Arioi, will propose every first Sunday of the month some cultural workshops and thematic guided tour . 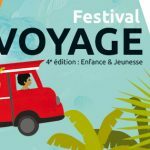 Come and join this unique culturel experience. 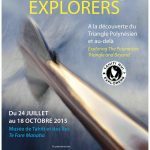 This activity, open to the Polynesian, to the families, but also to the tourist public, will allow the visitors to discover the collections of the Museum, with a guide prepared by the scientific teams of the Museum, but also to have a more participative approach of the heritage, thanks to cultural workshops, chosen according to the program of the Museum . 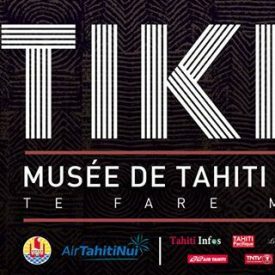 From January 18 to March 18, the Museum will be hosting an exhibition on the history of Air Tahiti, which celebrates 60 years of air travel. Photographs of tracks in the islands, postcards of the old models of plane until the first seaplane, old posters, objects collectors ... This exhibition will return on the history of the inter-islands air links of the years 1950 to the present day. 4th edition of the Festival "Voyage"
"100 years of a common history"
The Oceanian Studies Society (SEO) is celebrating its 100 years, and the Museum of Tahiti -Te Fare Manaha propose to pay homage to its outstanding members, through a red thread tracing its common history with the museum institution. This exhibition, which will take place from July 25 to December 31th of 2017 in the permanent exhibition hall, will highlight some twenty objects related to SEO, as well as the history of the institution. 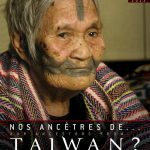 Our Ancestor from ... Taiwan ?